When you hear music piping in through the sound system at a local tavern or ale house, you may not think much about all that is involved in the process. But that music is not simply coming from a stereo system. Establishments must pay for that music through an agreement they have with the American Society of Composers, Authors and Publishers (ASCAP). ASCAP is a professional organization in existence to compensate the songwriters and song publishers who create the music with royalties. What you may not know is when recorded songs are played in public, the professionals who create the songs receive compensation. Some businesses, however, flat out refuse to pay the royalties involved in playing the music to patrons. This often leads to them being sued for copyright infringement. 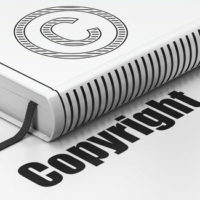 ASCAP is currently suing 11 businesses for copyright infringement for failure to pay up. One Florida business—Tailfins Ale House & Oyster Bar—is on the list. Tailfins, located on Destin Harbor, advertises its music, but according to ASCAP, has never had a license to play it. The lawyer for ASCAP claims that he has reached out to the owners of Tailfins on numerous occasions over the past two years. He has used mail and email to contact the owners. He has also called the establishment and even visited in person. Despite all attempts to get Tailfins to pay their fair share, the establishment has ignored its obligation to pay royalties for using music. Live music comes at a price. But establishments such as Tailfins that wish to play recorded music for customers instead must pay for that as well. They must purchase a license, which gives business owners permission from the songwriters and copyright owners to play their music. The license fees are distributed to songwriters as royalties paid on behalf of ASCAP. Bars, restaurants, nightclubs and even radio stations must purchase a license in order to legally play recorded music. A license for an ale house such as Tailfins costs roughly $2 per day. The owner of Tailfins, JMF Destin Harbor Development LLC, claims it was not previously made aware of the issues ASCAP is bringing forth in its lawsuit. However, the owner is looking into the allegations. ASCAP is suing for copyright infringement and hopes that a judge will force Tailfins to not only pay for a license, but also pay for legal costs and other damages. ASCAP claims it is not trying to force Tailfins out of business, but it does want the ale house to do what’s right and pay for the music it is using. Copyright infringement can happen in a number of ways. By not paying your fair share for your business’ music and entertainment, you risk legal trouble. Orlando trademark and copyright lawyer B.F. Godfrey from Godfrey Legal has extensive experience in this area of law. When you own a business, you need to protect not only your own ideas, but the works of others as well. Avoid legal issues by calling our office today at (407) 890-0023 or filling out our online form.